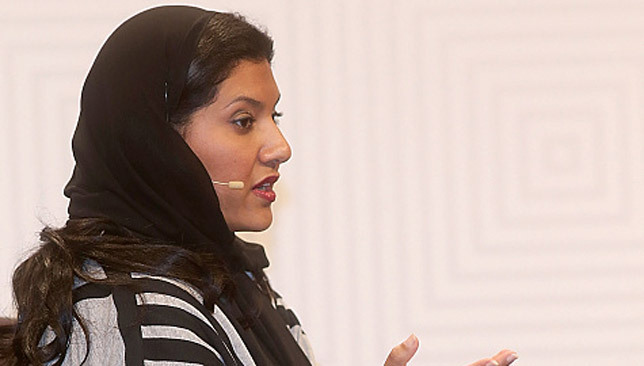 Princess Reema bint Bandar bin Sultan was named head of the women’s section at the General Authority for Sports, which acts as the kingdom’s sports ministry, the official SPA news agency said. It did not specify what her responsibilities would be. Princess Reema is the daughter of the once powerful Prince Bandar bin Sultan, who was the Saudi ambassador to Washington for 22 years until 2005. She was educated in the United States. “I am honoured to serve my nation,” SPA quoted Princess Reema as saying. Women face significant obstacles to competing in sport in Saudi Arabia, where women are deprived of certain rights, have to cover from head to toe and not allowed to drive. Four Saudi female athletes are however taking part in the Olympics this year in Rio, where they were due to arrive with seven Saudi men on Monday. However, they were not present at the Saudi welcoming ceremony at the athletes’ village as the country’s National Olympic Committee confirmed the women were yet to arrive. Those sportswomen include marathon runner Sarah al-Attar, judoka Wujud Fahmi, fencer Lubna al-Omair and 100m runner Cariman Abu al-Jadail. Both Attar and Fahmi were returning to the Games after they became the country’s first female Olympians in London four years ago. In a first in 2014, a Saudi state school introduced sports for girls, after a call for lifting a ban on women in sports. Saudi authorities shut down private gyms for women in 2009 and 2010, and women are effectively barred from sports arenas by strict rules on segregation of the sexes in public. Rio 2016's most stunning stadiums and venues! VOTE for your greatest Olympic Games moment EVER! Pioneer Saudi sportswoman Sarah Attar has already raced at the Olympics, but now her campaign will become a marathon as she uses the Rio Games to break down barriers in the conservative kingdom. Attar turned heads in the head-to-toe outfit she patched together with her mother to race in the 800 metres at the 2012 London Games, where she was one of the first Saudi women Olympians. This time Attar, now 23, will take on the gruelling 42 kilometer (26 mile) marathon race in Rio, where four Saudi women will take part. The women and seven Saudi men arrived in Rio on Monday, but were kept away from prying media. Gender divisions are so sensitive that the Saudi Olympic Committee website did not name the women who will represent the country. Along with Attar, they are judoka Wujud Fahmi, fencer Lubna al-Omair and 100m runner Cariman Abu al-Jadail. None qualified directly for their competition, but will take part with special invitations from the International Olympic Committee. Attar has no regrets and no doubts about running in London and Rio. “I was going for the women in Saudi Arabia, for all the young girls to have someone in the Olympics representing them, giving them a picture of something they could one day strive for,” she said in a recent article for the Like The Wind runners’ magazine. Attar finished last in her 800 metres heat in London, more than half a minute behind her nearest rival. She still got a standing ovation when she crossed the line. The Californian with Saudi-US nationality has never run under three hours in four attempts on the Boston marathon, but can no doubt expect a similar acclaim in Rio. Taking part in sport is not easy for Saudi women and finding women to go to the London Olympics was a challenge. Someone knew of the half-Saudi girl in California who liked running and so an invitation was made. “My mom and I pieced together an outfit: a long-sleeve shirt, full-length running tights, and a head cover we found online,” Attar told Marie-Claire magazine. Since London, Attar has become a sponsored athlete training with elite women runners in Mammoth Lakes, California. Attar and her family have also noticed change in Saudi Arabia since the London Games. Her father, Amer Attar, told the Washington Post how on a 2011 visit, when his daughter wanted to go on a run, he gave her a boyish “cap and warm-up pants” and drove beside her. Last year, he saw men and women running together in Jeddah. Still, the IOC has rejected a suggestion by a Saudi Arabian official the conservative kingdom could jointly host the Olympics with neighbouring Bahrain, holding men’s and women’s events in separate states. President Thomas Bach said “a commitment to ‘non-discrimination’ will be mandatory for all countries hoping to bid for the Olympics in the future”. 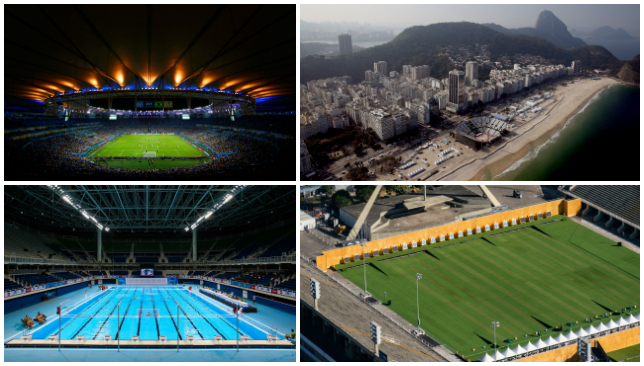 As part of our continued coverage in preparation for Rio 2016, Sport360 looks at every stadium and venue that will be staging the Olympic games this month.